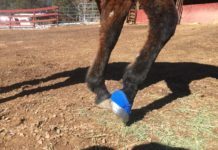 Lencho Griego, owner of G and F Carriages in Pueblo, Colorado, has been using the EasyCare hoof boots on his Percherons with success. 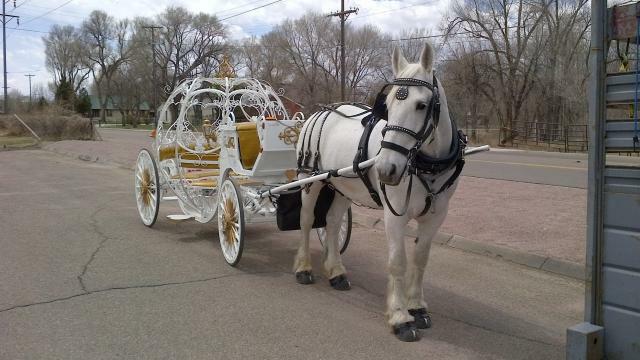 His business provides carriage rides for various events such as weddings, birthday parties, graduations, anniversaries, quinceresas, funerals etc. 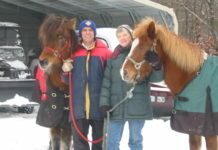 He has two Percherons that are his pride and joy and really draw a crowd because of their beauty and awesome stature. When all decked out with the harnesses and carriage, they are a sight to behold! Big Ben is ready to go to work. Big Ben’s hooves fit nicely in size 5 Easyboots and he gets along great in them on pavement. No slipping while transporting clients to and from their destinations. The installation is a breeze for Lencho and Big Ben’s hooves are protected from the concussion of the hard pavement he has to travel on. 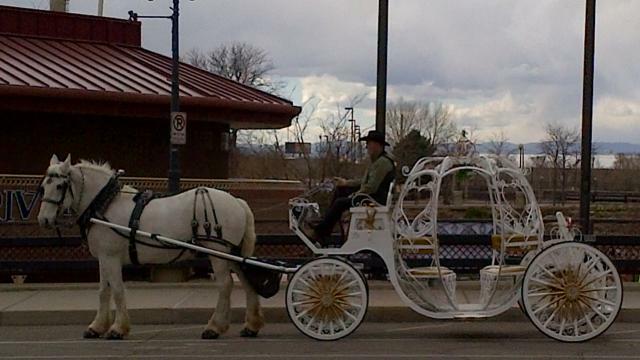 The striking presentation of the carriage, provides an exquisite way to travel to your wedding or anniversary party. It reminds me of a scene from a Cinderella movie. Big Ben posing for the camera. 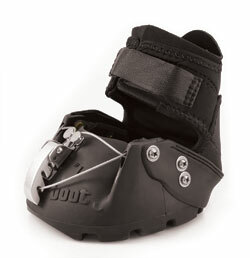 Easyboot Epics and Orginal Easyboots work really well for the larger sized hooves out there. Ease of installation and increased durability make these boots the boot of choice for the large, draft/draft cross type breeds. 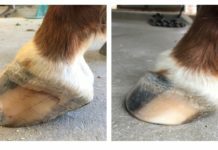 Whether the horse is working, used for trail riding or just being transported, our Easyboot line will give your horse the needed comfort and hoof coverage needed.